Glencore has overcome inclement weather and industrial action in Australia during 2017 to post a 7 per cent increase in thermal and coking coal production last year. 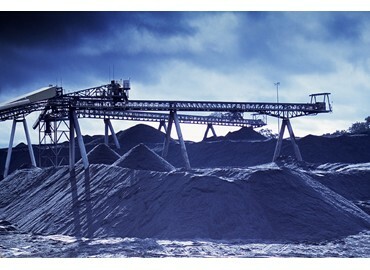 The company’s coal results were 8.8 million tonnes higher in 2018 than in 2017, pushing it to 129.4 million tonnes for the full year. Broken down into thermal coal and metallurgical coal categories produced in Australia, Glencore posted a 23 per cent rise to 68.8 million tonnes and 23 per cent rise to 7.5 million tonnes respectively. The company’s growth in domestic coal production was attributed in part to its investment in the Hunter Valley Operations (HVO) mine in New South Wales, and the Hail Creek and Valeria mines in the Bowen Basin region of Queensland. Glencore purchased Rio Tinto’s 82 per cent share of the open cut Hail Creek coal mine and 71.2 per cent share of the greenfield Valeria coal project in the Bowen Basin of Queensland from Rio Tinto in March 2018 for $US1.7 billion ($2.2 billion). The company then completed its 49 per cent acquisition of HVO in a joint venture with Yancoal, which owned the other 51 per cent. Other factors that helped Glencore’s coal result were the resolution of lengthy industrial action that lasted for 230 days at the Oaky North mine near Rockhampton, Queensland, from May 2017 to February 2018, as well as overcoming weather-related obstacles across its Australian operations. Glencore also produced an additional 49.2 million tonnes of coal from its South African and Colombian assets (Prodeco and Cerrejón), though production was lower or unchanged across these assets when compared with the previous year’s results. 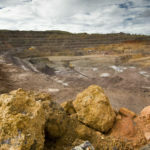 Prodeco, in particular, suffered a 20 per cent year-on-year drop to 11.7 million tonnes for 2018 due to the reallocation of equipment to deal with overburden and other mine development, according to the company. Apart from coal, Glencore also saw an 11 per cent rise in full year copper production to 1.45 million tonnes and a 54 per cent rise in cobalt production to 42,200 tonnes that was largely led by the Katanga operations in the Democratic Republic of the Congo (DRC). Oil was down by 8 per cent to 4.6 million barrels due to natural decline at its fields in Equatorial Guinea.